Deer, Waterfowl, Game birds, Turkey, Predators, etc. Bass, Gar, Bream, Crappie, Catfish, Flounder, etc. 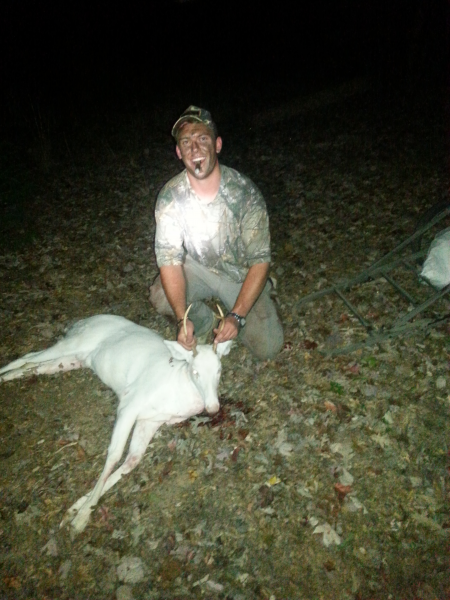 3-point albino whitetail buck taken on my family's hunting land in Moore County, NC near Carthage. I am currently a senior at East Carolina University. I am originally from Fayetteville, NC.